Travelling from Mumbai to Goa: If you’ve been exhausted with your work and have concluded that you need to take a trip to Goa from Mumbai? Then there are several ways to visit Goa from Mumbai. Usually, people always think about the cost-effective ways to reach Goa from Mumbai. If you are the one who is striving to visit Goa from Mumbai with the help of a travel guide? Then we can help you with that. In this article, I am going to give you the full pledged guide to visit Goa from Mumbai. You can find all the best ways to visit Goa in this post. So, what are you waiting for grab a cup of coffee and go through this article to know more information about the Goa trip? And make your vacation memorable with this helpful and user-friendly guide. Goa is an excellent place to visit throughout the year. This lovely place is having lots of adventures and endless fun activities. If you are an adventure lover means you have to visit this place. Because it is having lots of experiences which you can’t find in any other place in India. Although the Goa is known for its beautiful sceneries and beaches. It is also known for its water activities as well. Along with these, you are having lots of activities to do in Goa. Have fun such as scuba diving, hot air balloon flight, banana boat ride, snorkeling, white water rafting, and parasailing. These are only a few activities there are even more activities going on throughout the Goa. so, it if you are a nature lover or adventure lover then you shouldn’t miss the opportunity to visit Goa. You have seen why to visit Goa? Let’s have a look at visiting Goa from Mumbai travel guide. If you are wondering what’s the best and cost-effective way to visit Goa from Mumbai. Then this guide will help you. I am going to show you all the ideas which are best for visiting Goa from Mumbai. Usually, Goa attracts lots of crowds both nationally and internationally towards the tropical land which is none other than Goa. Now we gather all the details about Goa to Mumbai trip so let’s get started with that travel guide. When you want to go Goa from Mumbai by road means you have to cover 609 kilometers. 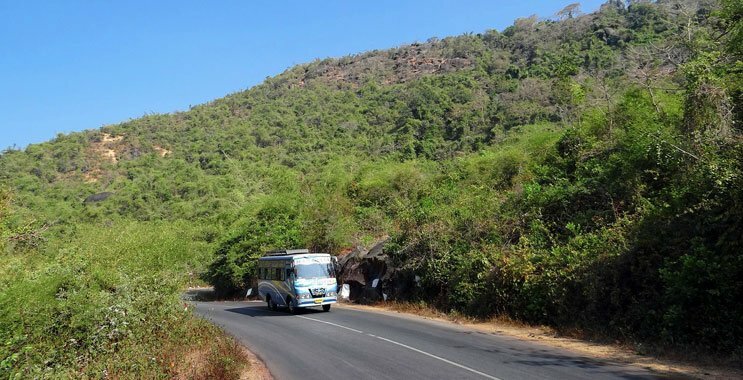 While going along the way, you can explore the real beauty of the Goa and its surroundings. You can see lots of sceneries throughout the drive. Usually, there are lots of options available when you are travelling by road. One of the most common ways is going you on your bike or car. Generally, most of the people don’t follow this way just because they don’t want to give any stress to their body. In most of the cases, they even think about their safety, and they want to get rid of accidents. Usually, the elder will people will have this impression on travelling by road. But when you come to the younger generation, they always love this method because they want to feel every location in between the Mumbai and Goa. They often stop at different locations to capture unusual locations and get a proper feel for an adventurous journey. If you are want to go by road means there are multiple routes. This is one of the best routes to visit Goa from Mumbai. If you are a scenic lover means you will love all these spectacular landscapes. As you pass through this route, you will discover lots of pleasant places which are best in getting your desired selfie. In this route you will go from Mumbai to Panvel then to pen after that you will touch kolad and khed. After crossing khed you will go through chiplun –pali- sawantwadi and then finally you will reach Goa. As this road passes through the villages, you will find paddy fields, coconut plantation and other plantations throughout your journey. This route is often a time taking route because the road is having lots of speed breakers and holes in between. So, you have to carefully and so it will take an extra two to three hours than the regular route. Time Duration: 10 hours 30 minutes. Route: Mumbai to Pune by Mumbai Pune expressway then Pune to Satara to Kolhapur —- Belgaum (NH4) and then to Goa. This is another other routes for bike passers and road travellers. By travelling on this road, you will see some sceneries, but you don’t see as much as sceneries as the first route. This is one of the simple, but the massive problem of this route is you have to cross hell lots of toll booths which will often cause trouble. While going down this route you can stay in Satara, Kolhapur to take some rest if needed. You can find places like Rankala lake, Panhala fort and Jyotiba temple, Belgaum fort and Bhimgad wildlife sanctuary in between the journey. Usually, the average cost to travel from Mumbai to Goa with your car is Rs 1400-2000 Depending on your cars and bikes mileage. Want to board the bus and reach Goa then here are the some of the details which will help you. Multiple bus operators are running buses from Mumbai to Goa. Along with government buses and private buses you can see bus services on the bus route currently, offer more than 80 trips. Usually, you can find lots of starting points for different buses. Some of the boarding points in Mumbai are Vashi, Malad, Sion, Nerul, Chembur, Panvel and Borivali. These are some of the boarding points. As we have seen boarding points in Mumbai the same buses dropping points in Goa are as follows Vasco Da Gama, Madgaon, Mapusa, Panjim and Mapusa. The first bus for Goa departs at 12:00 and the last bus from Mumbai leave at 11:59 pm. The estimated time via bus from Mumbai to Goa is around 11 hours and 30 minutes. But, some of the buses even take up to 14-16 hours. However, there are some buses such as Volvo services will take less time when compared to the local buses. Average time taken by Volvo buses: 13-14 hours. Average time taken by local buses: 15-16 hours. Generally, most of the people like to travel for low and better prices. But if you want to save your time, then you had to spend enough money. This is a fact, and I should mention that. Now, the lowest fare to visit Goa from Mumbai is Rs. 450. Average fair on other buses is Rs 800 – 2000. The rate varies based on the type of bus such as Ac, Non AC, Sleeper etc. The train journey is often considered as the convenient and inexpensive way of travelling. However, the train tickets for Mumbai to Goa route always fills pretty fast and so getting a proper reservation ticket is hard when you plan your travel before a week. Even in tatkal also you can’t take the required tickets as it will be a massive rush for tickets. The average train journey to travel Goa is 12 hrs which means you can aboard a train on the night, and you’ll be there by the next morning. Generally, there are about 113 weekly trains for Mumbai to Goa. Some of these trains names are Mandovi express, Netravati express, Mangalore express, Jan Shatabdi express etc. The trains will depart from the followings stations in Mumbai such as Lokmanya Tilak Terminus, Dadar, Mumbai CST. 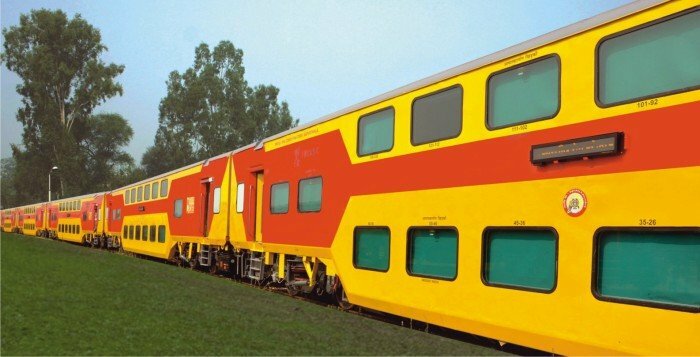 The first train from Mumbai to Goa will start at 00:15 AM which is a special train and the last one is at 23:12 PM which is Hazrat Nizamuddin Express. Usually, the average time taken by trains vary according to the train types. You can reach Goa from Mumbai in about 10 hours to 17 hours. Depending on the train types such as super fast, express, passenger etc. Coming to the average fare, it varies on the train and class you select for travelling. For Sleeper Class, the average ticket will be around Rs 450. For AC trains the cost will be around Rs 1500. If you choose 1st, AC means it will be around Rs 2500-3000. In general, people always skip a flight journey because they think that is the costliest journey. But, those people don’t know the fact that flight ticket will also charge them the same amount of money which they are spending on Ac buses, and AC trains. Opting for a flight journey is far best in saving time, and also the view which you see from the sky is beautiful. If you are a first-time flight user means you’ll fall in love with the journey. As you are planning to relieve your stress by opting for a trip, Why not make that memorable trip? Just opt for the flight which can save you lots of time. The average flight time between the Mumbai and Goa is only one hour, and it covers around 430 Kms. As we have seen above fares of the train, Bus and Car all are around 1400-2000. Now, similar to that flight ticket starts at just Rs.1500 only. By this, you can save your valuable holiday time. You can be comfortable on the flight journey, and it is the best way to make your kids happy as well. There are many flights between Mumbai and Goa. The first flight is around 2:10 AM and the last one is approximately 11:45 PM. 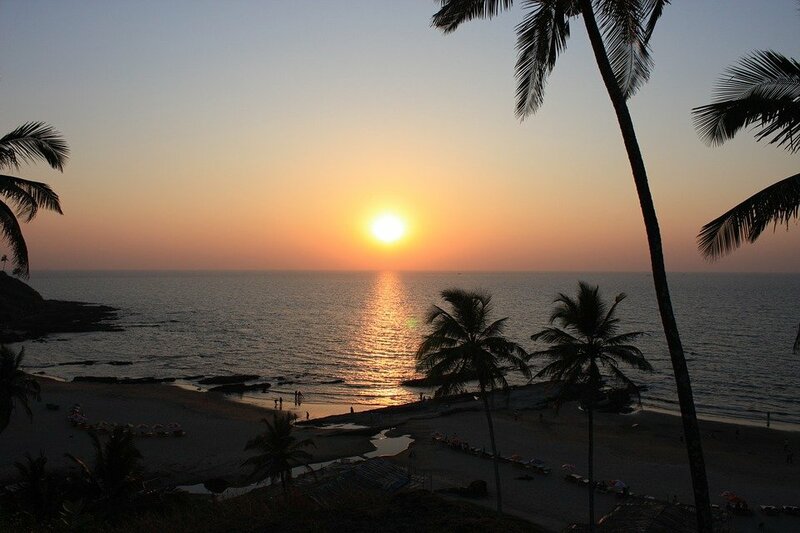 You can find more than 45 trips from Mumbai to Goa Flights and visit Goa every day. Flight fare from Mumbai to Goa stars from Rs 1500. You can find many Mumbai to Goa flights for better rates if you book your ticket before 20 days or so. 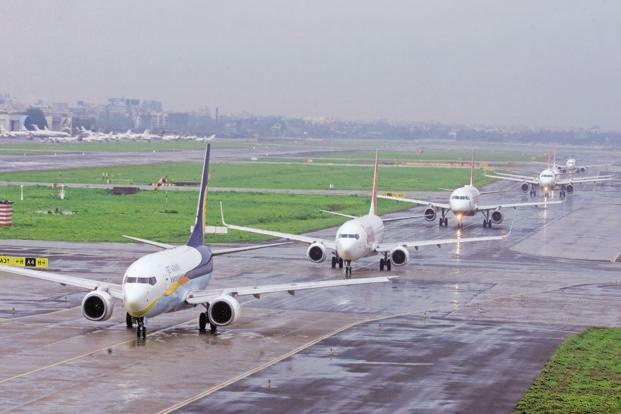 The best airlines on this route you have to consider are Jet Airways and Spicejet. Finally, I am done with the explanation part. Now it’s your part to have fun by travelling to Goa. You can visit lots of beaches, parties, adventurous rides etc. Enjoy them and have a great trip. Want to know more details about the Goa let us know in comment section we will be coming up with a new post.